Arrive in Vienna and disembark your ship for a 2-night stay in the legendary "City of Music." Enjoy guided sightseeing, including the Imperial Palace, Vienna Opera House, and stunning St. Stephens Cathedral. You may otherwise choose to take an early morning walk for breakfast at a Viennese café, followed by an exclusive viewing of the Habsburg family’s private art collection at Vienna’s Museum of Fine Art. You’ll also enjoy a free day to leisurely explore the city at your own pace. Enjoy superior hotel accommodations with complimentary breakfast, an expert Local Guide, and courtesy ship-to-hotel transfer. You’ll embark on your Avalon Suite Ship® from Vienna on your way to marvelous Melk for guided sightseeing in Austria’s Wachau Valley, including the magnificent Benedictine Abbey perched above the Danube. In Dürnstein, join a guided hike above the famed blue Stiftskirche steeple for breathtaking views. You’ll sail to the centuries-old Slovakian city of Bratislava. Take a guided tour of its cobblestone streets and gothic cathedral, and consider hiking with your Avalon Adventure Host to lofty Bratislava Castle. 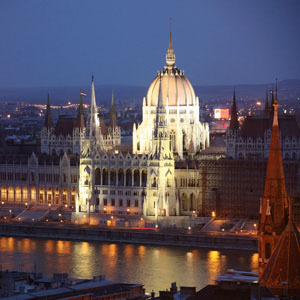 Your Danube River cruise concludes in Budapest, where you’ll spend two nights in the Hungarian capital city. Enjoy superior hotel accommodations with complimentary breakfast, an expert Local Guide, and courtesy ship-to-hotel transfer. Enjoy guided sightseeing, including Budapest’s iconic Heroes Square. An Avalon river cruise on the Danube-with overnight stays in Vienna and Budapest-what a perfect way to experience the legendary Danube’s incredible views!